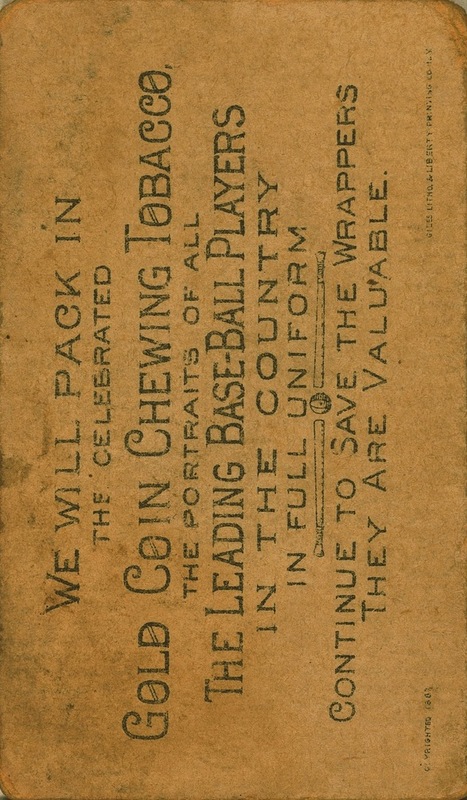 Additional Information: Cards are unnumbered and carry one of three different backs, which all advise collectors to save the “valuable” chewing tobacco wrappers. In addition, the artwork is generic, with the same drawing sometimes used for multiple players. Due to this, the artwork sometimes bears little resemblance to the player listed on the card. SCD lists the set as “1887 Gold Coin (Buchner) (N284)” and numbers the cards by listing all the players in alphabetical order by last name. 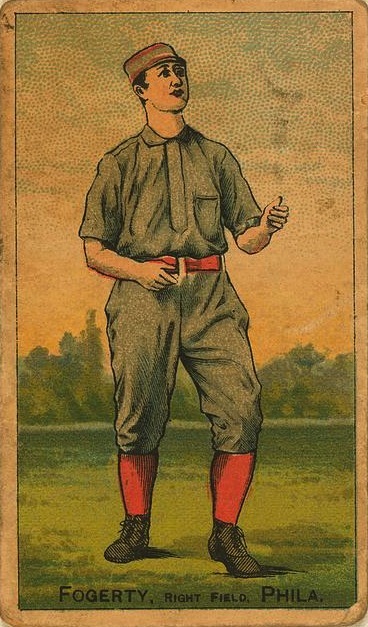 Beckett lists the set as “1887 Buchner Gold Coin N284” and numbers the cards in alphabetical order within team, with teams themselves listed in alphabetical order. The SCD numbering system is used below. Topps used this set as the basis for the design of Jimmy Rollins’s card in the 2007 Topps Wal-Mart insert set.